From left to right (first row): Tom Steeves, President, TJ McCartney, Jeff Sullivan, Business Manager, IUPAT DC 35, Instructor Jim Sullivan, FTI-NE, and Tom Gunning, Executive Director, BTEA, along with FTI-NE apprentices receiving the award. In an ongoing partnership between industry leader TJ McCartney and the International Union of Painters and Allied Trades District Council 35, countless hours have been devoted towards the maintenance and upkeep of the Boston Harbor Islands. Special guests including State Senator Nick Collins, State Representative-Elect David Biele, State Representative Dan Hunt, and Boston City Councilor Ed Flynn were in attendance at the event. 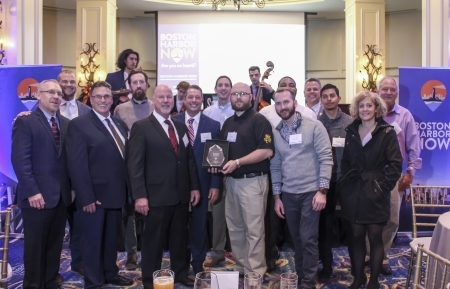 (Boston, MA November 28, 2018) - At an awards gala hosted by Boston Harbor Now, contractor T.J. McCartney, Inc. and members from the International Union of Painters and Allied Trades DC 35 were recognized for their long-standing commitment to renovate and revive facilities on the Boston Harbor Islands. TJ McCartney, with the help of apprentices from the Finishing Trades Institute of New England, volunteered countless hours to the maintenance of several Boston Harbor Islands, including years of pro-bono work with the creation of three gazebos on Spectacle Island and the rehabilitation of many different projects on George’s Island. "The Painters Union has been our partner in this initiative since the beginning. We are excited to partner together on this project because it benefits not only the people of Boston but is a wonderful experience for all those that visit this city.” Said Tom Steeves, President of TJ McCartney. “We are honored to accept this award from Boston Harbor Now for our work at the Boston Harbor Islands, and we look forward to continuing the collaboration with more projects in the near future." “We have the best-trained apprentices in the industry. Our partnership with TJ McCartney has provided an excellent opportunity for them to gain work experience and contribute towards a better Boston," said Jeff Sullivan, Business Manager, IUPAT DC 35. "Our apprenticeship program recently received national accreditation as a post-secondary educational institution and we are working towards receiving college degree-conferring authority. Our students will soon be receiving Associates Degrees when they graduate from the program, increasing their ability to embark on successful careers in the finishing trades. We are thankful to Boston Harbor Now for recognizing the work of our apprentices and our partner TJ McCartney." The volunteer efforts of TJ McCartney and IUPAT DC35 contribute immensely to Boston Harbor Now’s goal of re-establishing Boston as one of the world’s great coastal cities. These efforts also serve as a primary example of how Labor/Management partnerships in the construction industry work together to improve the parks and communities for the people of Boston. Both organizations were honored alongside The Fallon Company and Massachusetts Port Authority for their contributions to Boston Harbor. About T.J. McCartney, Inc.: With close to 40 years of experience in the drywall industry, we provide our clients with the best project managers, estimators, and field personnel in the business. T.J. McCartney, Inc. is certified with SOMWBA, as well as with the city of Boston as a WBE. At T.J. McCartney, Inc. we have built a reputation for quality workmanship and exceptional performance. District Council 35 has a history of doing charity projects to support the community. Their organization branches and members have done work in public schools, organized hurricane relief, and collaborated in support of numerous community groups around New England. District Council 35 is an organization of approximately 4000 members in Massachusetts, Maine, New Hampshire, Vermont, and Rhode Island affiliated with the International Union of Painters and Allied Trades. 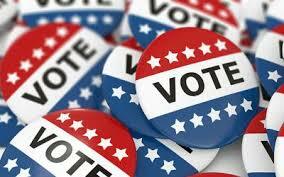 District Council 35 is committed to serving the interests of members and those unrepresented workers who hope to join. The DC 35 is determined to continue to ensure the best wages and benefits in the industries. The organization's mission is to represent members for purposes of collective bargaining, to organize workers in a variety of occupations, and to advocate for workers and their families. For more information about IUPAT DC 35, please visit http://iupatdc35.org/. There will be an opportunity for the public to ask questions. Please note, the city does not represent the owner(s)/developer(s)/attorney(s). The purpose of this meeting is to get community input and listen to the residents’ positions on this proposal. This flyer has been dropped off by the proponents per the city’s request. BOSTON - Tuesday, November 27, 2018 - Mayor Martin J. Walsh and Boston Police Commissioner William Gross today announced the recipients of Boston's Police Youth Development Fund. The City of Boston has doubled last year's funding, and this year, $500,000 will go to the Youth Development Fund, which provides $25,000 to 20 organizations which work to provide development programs for Boston's youth, ensuring they have access to programs that give them more opportunities to thrive and succeed. In addition, the City has applied for funding through the Commonwealth's Shannon Community Safety Initiative to further support multidisciplinary approaches to curb youth violence through coordinated prevention and intervention programs. "In Boston, we work every day to make sure our young people are lifted up, and given every opportunity to succeed. 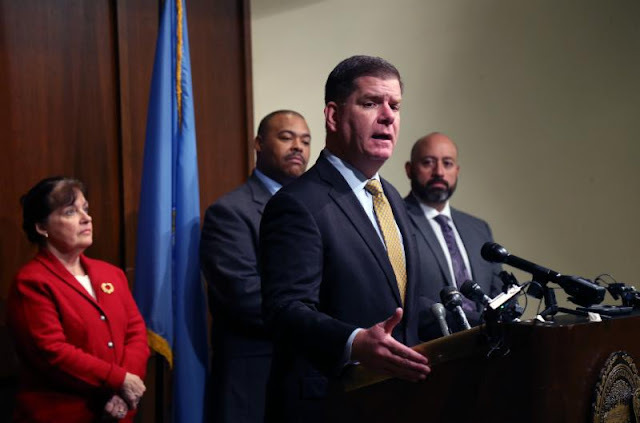 That means through education, through development programs, and through having a safe, stable environment that will give them the resources and opportunities they need," said Mayor Walsh. "The Boston Police are a major partner in this, and I'm proud that today we're able to fund 20 great organizations that will make a lasting difference in the lives of Boston's youth for years to come." Under the leadership of Mayor Walsh, the Boston Police Department has prioritized community policing as an effective way to reduce crime, while building trust with the community. The Boston Police Department received national recognition from the Obama Administration in 2015 as being one of the top cities in the nation that is leading the way on community policing. Earlier this year, Mayor Walsh announced the formation of the Bureau of Community Engagement at the Boston Police Department, which is charged with overseeing a citywide effort to further strengthen community policing in Boston, and focused on ways to build relationships and trust between law enforcement and residents, creating new and innovative partnerships, and promoting inclusion and diversity within the department. Commissioner Gross appointed Superintendent Nora Baston to serve as Bureau Chief for the Bureau. "As Commissioner, my number one goal to ensure all residents in Boston are safe -- and that includes Boston's young people," said Commissioner Gross. "We have the biggest opportunity to change lives by providing resources and support to Boston's youth, and through these programs, we are able to positively impact lives and create a better city for all." As part of Boston's overall community policing strategy, the Boston Police Department prioritizes relationships with youth and the community as the key to building trust and creating safe neighborhoods. This starts with an emphasis on daily interactions on the streets and in school classrooms, and includes proactive prevention and diversion for at-risk youth and their families. In addition, the department provides positive pathways for our youth through programs such as Operation Exit and My Brother's Keeper. The BPD has strong partnerships and year-round district activities with residents through Coffee with A Cop, National Night Out, youth and police dialogues, teen police academy, flashlight walks, Shop with a Cop, and more. "Our community is a caring one, one who seeks the best for its children, but caring for our youth comes with many responsibilities - not only from our families but through neighborhood partnerships and person to person interactions," said Candice D. Gartley, executive director All Dorchester Sports and Leadership. "All Dorchester Sports and Leadership sees their role in the community not only as a place to provide athletic activities and academic opportunities but also as a place for children to feel safe and cared for near their homes. With the City's help and the Mayor's steadfast commitment of these grant dollars to organizations such as ADSL, we will continue to build and create more opportunities for youth and young adults in our organization and our city." "I was thrilled to make the Youth Development Fund my initial budget ask in my first term and am delighted to partner with Mayor Walsh to support the Fund and Shannon Grant to help dozens of programs expand their capacity to serve, empower, and educate our young people," said City Council President Andrea Campbell. "The jobs, skills, and relationships young people build through these programs are critical to breaking cycles of inequity, especially for young people of color, and ensuring they reach their God-given potentials." BOSTON, MA – Today, the Baker-Polito Administration announced the launch of Apprenti Massachusetts, the first technology focused registered apprenticeship program in the Commonwealth. The program will work with the tech industry to identify high demand employment categories which can be filled by motivated job seekers regardless of their educational background. Applicants for the program will be recruited from a broad base of local community partners. Accepted applicants will receive up to five months of certified technical training and one year of paid on-the-job training through one of the program’s employer partners. In 2015, the Baker-Polito Administration established the Workforce Skills Cabinet to align the Executive Offices of Education, Housing and Economic Development, and Labor and Workforce Development toward a comprehensive economic growth agenda focused on closing skills gaps in areas such as technology, health care, and advanced manufacturing. To date, the Baker-Polito Administration has awarded more than $50 million in Workforce Skills Capital Grants to help educational institutions purchase job ready technologies that positively impact thousands of students in the Commonwealth every year. The Fiscal Year 2019 budget was the first to include a joint workforce funding request and included money for expanding the apprenticeship model into high demand fields. This year’s economic development bill also included new tax credits for companies starting up registered apprenticeships in Healthcare, Advanced Manufacturing, and Tech. “This new apprenticeship program not only strengthens our response to critical employer needs in information technology, it also aligns with our efforts to expand computer science education at all levels, while providing students with work-based learning experiences,” Education Secretary James Peyser said. The announcement event was held at the global headquarters of Wayfair, a home goods e-commerce company founded in Massachusetts. Wayfair is one of Apprenti Massachusetts’ founding employer partners, and will be hiring apprentices from the first Apprenti tech apprentice cohort. Additional founding hiring partners include Cengage, CarbonBlack, Harvard University Information Technology, Partners Healthcare, and PTC. Apprenti Massachusetts will be funded by the One8 Foundation and will reside at the Massachusetts Technology Collaborative (MassTech,) the state’s lead quasi-public agency to support the technology sector in Massachusetts. The One8 Foundation, a Boston-based philanthropic organization focused on increasing access to applied learning opportunities for Massachusetts students and adults, will fund the initial operations of Apprenti in the state while the organization grows its set of employer partners and expands its work with apprentices. Applications for tech apprenticeships in Massachusetts through the Apprenti platform are available now. More information on how to become an apprentice or a hiring partner can be found at www.apprenti.org. The Massachusetts Technology Collaborative is an innovative public agency working to enhance economic growth, accelerate technology use and adoption, and harness the value of research by engaging in meaningful collaborations across academia, industry, and government. From improving our health care systems and expanding high-speed internet across the state to fostering emerging industry clusters, MassTech is driving innovation and supporting a vibrant economy across the Commonwealth. Visit masstech.org to learn more. The MassTech Intern Partnership connects talented college students and recent graduates to internships in the state's dynamic technology sector. BOSTON – Suffolk County District Attorney-elect Rachael Rollins has named two chairs to lead her transition team. Rollins was overwhelmingly elected as the next Suffolk County District Attorney last week, garnering more than 80% of the vote. Today, she named Natashia Tidwell and Martin F. Murphy to lead her transition as she builds her team and lays the groundwork to take office in January. Tidwell and Murphy are experienced criminal prosecutors and defense attorneys who have served at the state and federal levels. Tidwell is a former police lieutenant who went on to serve as a federal prosecutor in both the Public Integrity Section of the Department of Justice and the U.S. Attorney’s Office here in Boston. She is currently in private practice at Hogan Lovells in Boston. 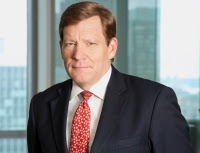 Murphy served as the First Assistant District Attorney in the Middlesex District Attorney’s Office and as a federal prosecutor, and currently serves as a trial lawyer at the Boston law firm Foley Hoag. Murphy is also Vice President of the Boston Bar Association and a member of the Board of Directors for the American Civil Liberties Union of Massachusetts. Rollins’ election reflects a widespread demand for change in a criminal justice system that for too long has not worked fairly for everyone. Rollins has promised to bring new solutions to the office that will break down wealth and racial disparities, keep communities safe and treat all people with dignity and respect. As Suffolk County District Attorney she will keep communities safe and ensure justice for victims. Rollins is committed to improving our criminal justice system through best-practices and data-driven programs. That includes focusing on treatment, not prosecution, for those swept up in the justice system for minor crimes. This will also allow prosecutors to focus more resources on the serious crimes that truly undermine public safety, like domestic violence, sexual assault, gun violence, and homicides. Rollins is looking forward to working with community partners, law enforcement, and the residents of Suffolk County to transform the District Attorney’s office. Natashia Tidwell is an attorney in the Investigations, White Collar, and Fraud practice group of Hogan Lovells US LLP’s Boston office. She began her legal career as a federal prosecutor in both the Department of Justice (DOJ) Public Integrity Section and the U.S. Attorney's Office for the District of Massachusetts. As an Assistant U.S. Attorney, Natashia handled a wide variety of investigations, enforcement proceedings, and trials related to conspiracy, extortion, narcotics, and organized crime. At DOJ, she prosecuted and supervised investigations of serious misconduct by public officials throughout the United States and its territories. Natashia’s interest in criminal justice took root during her tenure as a police officer in Cambridge. While there, she rose through the ranks to become the first female lieutenant in the department's history. Currently, she applies her specialized knowledge of policing and court practices to her work as the Lead Monitor in Ferguson, Missouri where she oversees implementation of a federal consent decree following a DOJ investigation of unconstitutional police and municipal court practices. A celebration of Italian and Italian-American culture was on full display last weekend, as the IDEA Boston festival kicked off its inaugural annual event at the Dante Alighieri Cultural Center in Cambridge, Mass., on Nov. 2-3. 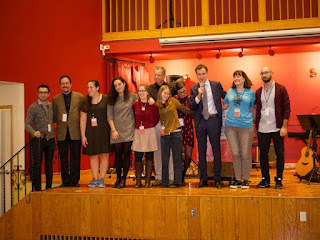 Among the more than 50 speakers and panelists that participated in this year’s event were award-winning children’s books’ author Tomie dePaola, celebrity chef Mary Ann Esposito, Europa Editions editor-in-chief Michael Reynolds and actress and author Marianne Leone. Also among the attendees were Italian Consul General in Boston Federica Sereni and Italian Senator Francesca Alderisi, who flew in from Rome for the special occasion. 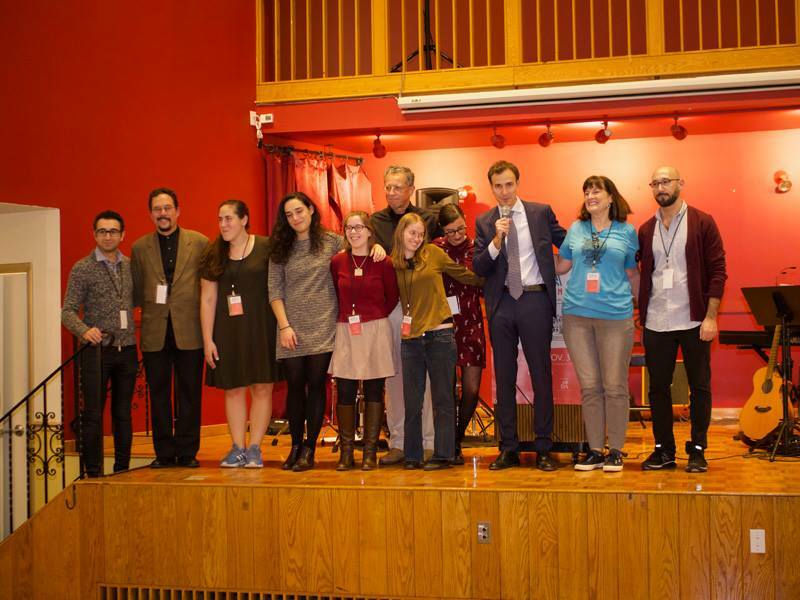 Events spanned from panel presentations on immigration, literature, film, and language, and also included a sold-out theater play by Boston-based company ImproNati. “There is a lot that has been accomplished, but there’s also a lot that still needs to be done,” said Orichuia at the end of the festival. BOSTON - Wednesday, November 7, 2018 - Mayor Martin J. Walsh today announced he will sign an ordinance passed by the Boston City Council, sponsored by Councilors Lydia Edwards and Ed Flynn, which will provide assistance to older homeowners in Boston. 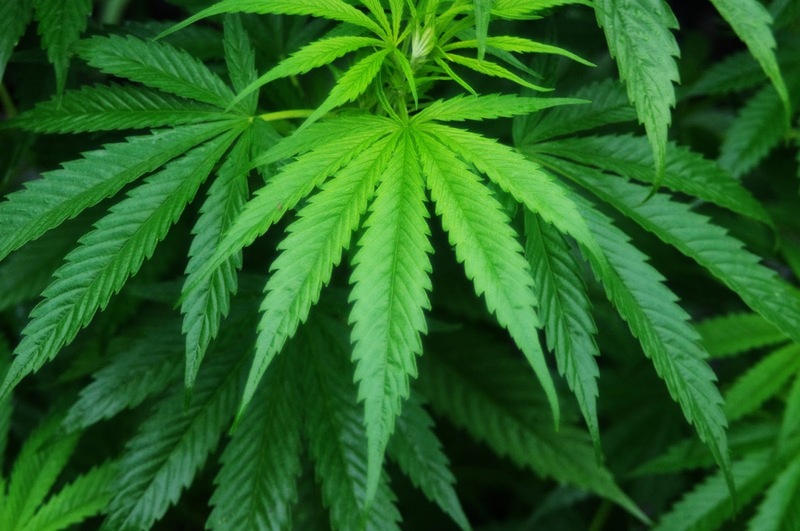 With the passage of this ordinance, the City of Boston will opt into Massachusetts General Law Ch. 60 §62A, which gives municipalities the ability to offer payment agreements to older homeowners who are behind on their tax payments. "In Boston, we are committed to taking care of everyone who wants to live in our City, including older residents who help make Boston the world-class city it is today. With this ordinance, we're working to further create a supportive city where all residents, regardless of age or ability, can thrive," said Mayor Walsh. "I thank Councilors Edwards, Flynn and the rest of the Boston City Council for their collaboration." The ordinance will allow property tax payment agreements and interest relief for eligible senior homeowners with low-income in the City struggling to repay their overdue taxes. Payment agreements of up to five years that forgive 50% of the accrued interest will be granted to eligible, low-income seniors in Boston. In order to be eligible, people must meet the requirements for the residential and senior exemptions. This legislation will also improve the accessibility of tax-related documents by providing residents with details about how to access their property tax information in multiple languages. This effort is being coordinated as part of the City of Boston's Office of Language and Communication Access citywide implementation plan. "As a city, it's critical we take every step possible to keep our elders housed and to support Bostonians in building and retaining wealth over generations," said Councilor Edwards. "This ordinance is a win-win, helping economically vulnerable taxpayers keep their homes while meeting tax obligations to the city. I appreciate the partnership of the Mayor, city staff and my colleagues on the council in crafting this ordinance and I look forward to its signing." "It is great to work with the Walsh Administration to provide more tools for our elderly residents and increase accessibility for non-English speaking Bostonians." said co-sponsor Ed Flynn, District 2 City Councilor, "Tax bills can be intimidating and this ordinance will make things easier for the taxpayers of Boston. I look forward to having this ordinance signed into law." This ordinance continues to build on Boston's age-friendly work. Including its work to support senior homeowners. 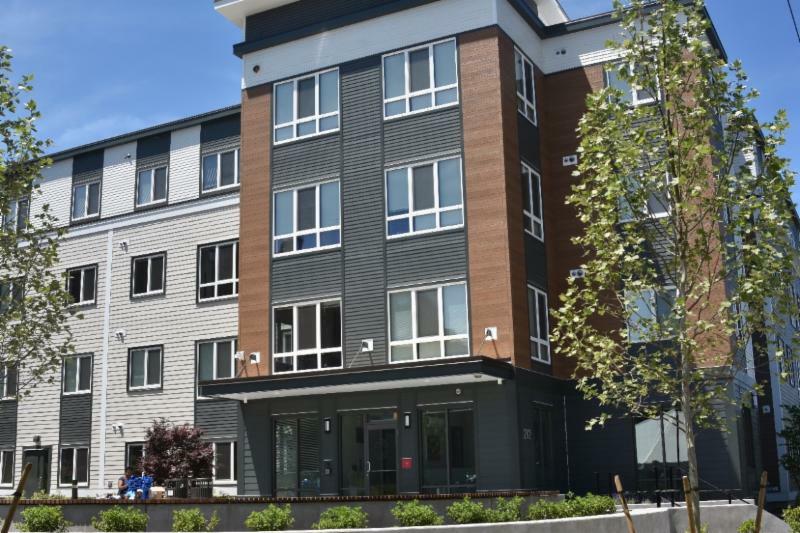 In 2016, Mayor Walsh announced an extension of the Senior Citizen Property Tax Work-Off Abatement program. The tax work-off abatement law allows a city or town to establish a program giving property owners 60 years or older the opportunity to volunteer services to their city or town in exchange for a reduction in property tax. Across Boston, the Age-Friendly Boston initiative was launched in 2014 when Mayor Walsh joined the network of the World Health Organization age-friendly cities through AARP, the United States affiliate. In May of 2017, the City of Boston's Commission on Affairs of the Elderly released the Age-Friendly Action Plan, a comprehensive plan with 75 action items to create an environment where older adults continue to lead healthy and productive lives in Boston.